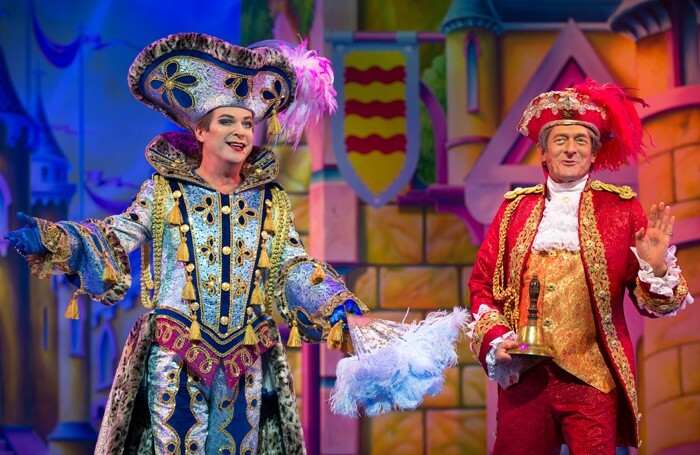 Richard Jordan: When did pantomime become so cruel? Richard Jordan: Pantomime is over for another year, but when did it become so cruel? The joyous return of pantomime at the London Palladium is significant on many levels. Cinderella, which ended its five-week run on Sunday (January 15, 2017), was the first pantomime to play the Palladium since 1987 when Babes in the Wood concluded a run of 29 pantomimes over 39 years. Pantomime’s return to the Palladium was mounted under the weight of enormous expectation, not least from those of us lucky enough to have seen previous legendary productions there that created lasting memories. Those who were taken to see the Palladium panto as children found themselves lost in nostalgia at the prospect of returning to see Cinderella. My memory was from 1985, when as an 11-year-old I arrived from Norwich on my first-ever trip to London with my mum and dad to see Cinderella at the Palladium starring Des O’Connor, Paul Nicholas and Anna Neagle. On that same trip, my mum was reliving her memory of seeing Engelbert Humperdinck and Jimmy Logan in Robinson Crusoe at the venue in 1967. This generation-to-generation theatregoing experience is not unique to pantomime, but its seasonal nature and part among the traditions of Christmas gives it a greater poignancy in our memories. For many audiences, it is the only time they visit the theatre. Look around a pantomime auditorium and you will see a cross-generation of families coming together to share in this experience. Crucially, for many younger audience members, attending it may be their first encounter of live theatre. 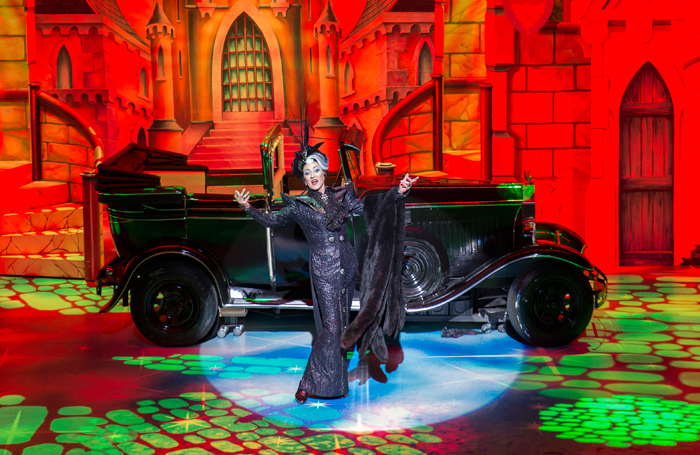 Cinderella’s all-star cast at the London Palladium also serves as a fascinating study in the changes of popular culture within the entertainment industry. It featured major television names such as Amanda Holden and Lee Mead, recognisable from popular reality-based TV talent shows, while both its top-of-the-bill stars – Paul O’Grady and Julian Clary – have maintained long careers to remain household names in popular, mainstream entertainment. Nonetheless, this year’s starry cast still reflects a big difference to the time when A-list pop stars such as Cliff Richard and the Shadows headlined Aladdin at the London Palladium in 1964. Would Harry Styles or Zayn Malik (and their managements) even consider pantomime as a credible career move? There is an unfortunate stigma around the pantomime genre that it is where failed TV Pop Idol or The X Factor contestants end up. Perhaps the Palladium’s success can help to reverse this thinking. I greatly enjoyed my night watching Cinderella, but I did leave the Palladium questioning if pantomime today had, in part, become crueller in nature. In this production, an audience member was singled out by ventriloquist Paul Zerdin and his puppet assistant, Sam. The hapless customer was then directly referred to for the rest of the show as “ugly”. Coming at a time when we are addressing bullying in broader society, I was left wondering if the relentless teasing of “Ugly Simon” at the performance I attended gave out the right message. Zerdin’s comic genius and the scene itself would have been just as successful without it. Similarly, O’Grady’s wicked Baroness Hardup’s instruction to the kids in the audience to make their mums or grannies scream by grabbing their “bingo wings” and giving them “a good twist” felt unnecessary, especially if any lady felt the least bit self-conscious. Personally, I have never liked the audience put-downs directed at what people are wearing or towards those sitting in the ‘cheap seats’. These are all lines that are frequently used in almost every pantomime but the responsibility of this hugely influential art form and the examples it sets should be centred firmly upon inclusion. For a family who have saved up to come to a pantomime and could only afford to sit in the balcony, do such put-downs not risk making them feel undervalued? Even if you are also teasing those in the expensive seats, I question whether we should perpetuate any kind of class division from the stage. Retrospectively, I may be being oversensitive – the audience was roaring with laughter. However, it was the late, great seasoned pantomime veteran Victor Spinetti whose sage advice was that the key to successful audience participation is in always making sure the joke gets put back on the performer. The pantomime genre and the memory of the experiences that it affords last a lifetime. So it is vital to get it right. For many audience members and our own industry’s future, watching a pantomime may be the single most important piece of theatre that they will ever experience. Mark Shenton: Can Cameron Mackintosh really beat the Hamilton touts?